"Remember Noah, he choose you for a reason." Now playing in theaters everywhere is Darren Aronofsky's Noah, his epic new take on the biblical story of Noah's Ark, starring Russell Crowe. The movie has been discussed and argued endlessly by critics and moviegoers the world over, as is evident by some of the heated discussions in our Sound Off. One of the best parts is the new score by Clint Mansell, which has a feeling similar to The Fountain, but with its own distinct sound for this movie. In honor of the release of the movie and Mansell's score, Paramount has provided us with an exclusive featurette showing more footage mixed with Mansell's wonderful music. It's another great reminder to buy the score and catch this in theaters now. Noah is now playing in theaters. 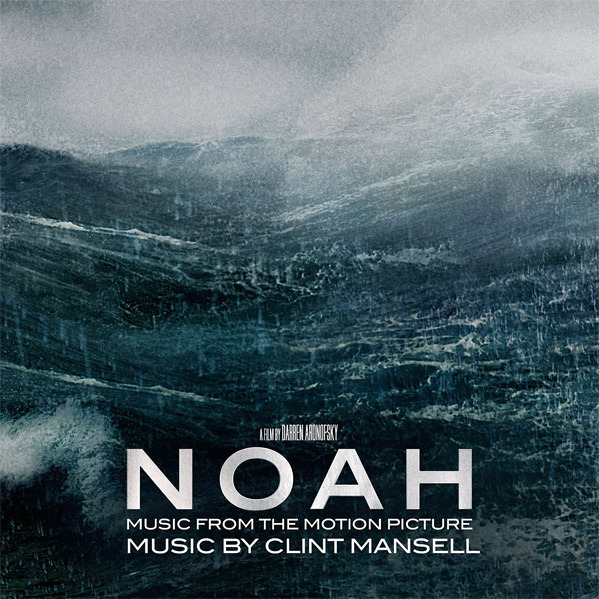 You can also buy Clint Mansell's Noah score in full on Amazon or iTunes. In Darren Aronofsky's take on the Biblical tale, Noah (Russell Crowe) suffers visions of an apocalyptic deluge, and takes measures to protect his family from the coming flood. Paramount/New Regency are behind the project, being produced by Aronofsky & Protozoa Pictures partner Scott Franklin with Mary Parent. Darren Aronofsky & Ari Handel wrote the script, with a revision by John Logan before production. Read the poem that Aronofsky wrote as a child that inspired his version of this story we now see on the big screen. The cast includes Douglas Booth, Nick Nolte, Mark Margolis and Anthony Hopkins. Paramount just released Darren Aronofsky's Noah in theaters everywhere March 28th - it's now showing. Sound Off here.